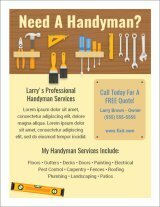 Here I have created a few free flyer templates. You'll be able to download, customize, and print them right at home. Use the templates for whatever you want: advertise your startup business, promote a side job, etc. 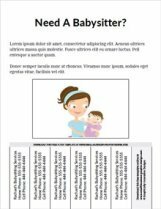 Let me know if you have had any success using the flyer template. I would love to hear your story! How to get the free templates on this site: Simply subscribe to my e-list to receive future updates about free & inexpensive flyer templates. Then, a copy of the PDF template will be automatically emailed to you. You'll be able to save it to your computer, and edit it using Adobe Acrobat Reader - which you can download for free online if you don't already have it on your computer. 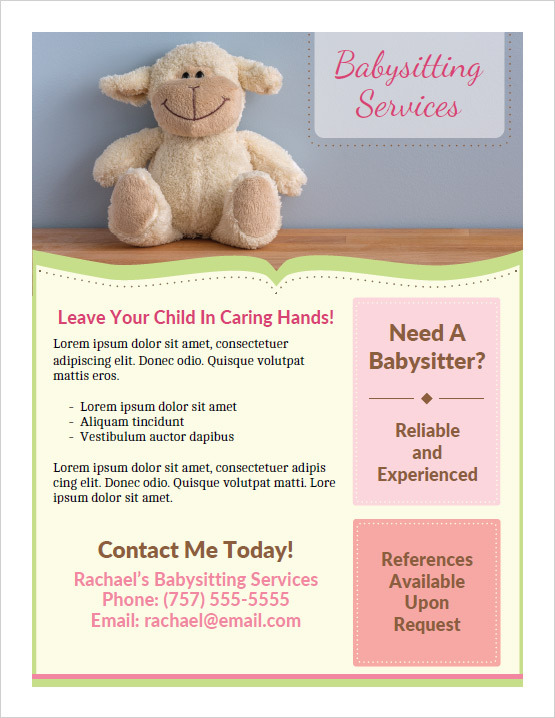 Want to see an example of the type of tear-off tab flyer you will be able to create with the blank Multipurpose Flyer Template? Take a look at the 3 examples below. Note: The photos used in these examples are not included. "Very glad I found your site. 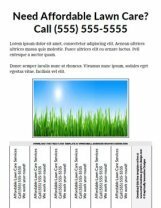 I have Word 2003 and was unable to find a simple flyer template that had the tear off tabs. Your template was VERY easy to use! Thanks!" 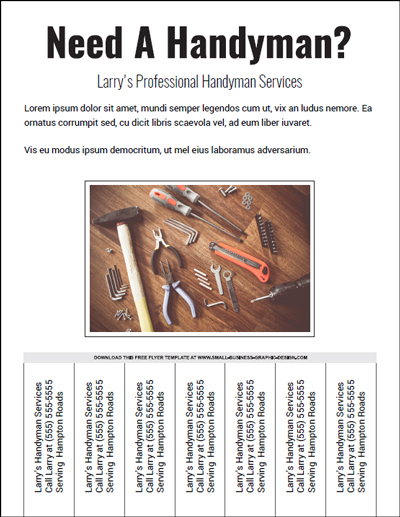 These free flyer template are also available on other pages of my website. 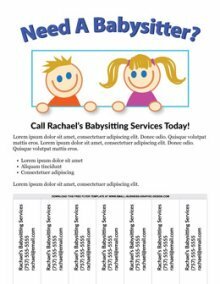 You may be wondering, "Why is Rhonda giving away free printable flyers, when she offers design services?" Well, here's my answer to put it simply, I am doing this as a public service. I realize that there are a lot of start up businesses on a budget that need things such as simple flyers and business cards to get started. Too, there are people who are doing side jobs such as handyman work or babysitting that could use free templates. 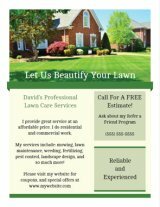 By me offering things such as a free flyer template, I hope that in the future you will eventually use my services when you are ready to take your marketing to the next level. You can start taking your flyers to the next level by trying one of my premium & affordable flyer templates below.